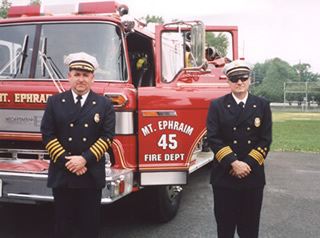 On July 4, 2002, a house fire in Gloucester City, New Jersey suddenly collapsed, tragically claiming the lives of three young children and three brave firefighters who valiantly tried to save them. Two of these men, James E. Sylvester and John D. West Sr. were more than just firefighters. They were well known and respected residents of the borough of Mount Ephraim. The memorial is located on the corner of West Kings Highway and Station Avenue in Mount Ephraim to commemorate their lives and the dedication they gave to the community. The Sylvester and West Memorial Committee is asking for your help by making a donation or purchasing an engraved brick along the memorial’s walkway of honor. 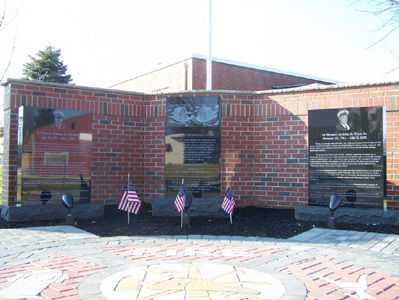 All funds collected are for the sole purpose of building and maintaining this memorial. Thank you for your consideration and generosity.